Barton Jones is an Occupational Safety and Health Consultant at the Safety and Health Council of North Carolina. A self-proclaimed 'safety geek', Barton strongly believes that drone technology has the potential to completely raise the bar in regards to how businesses monitor and assess their assets on a job site while keeping their employees safer. PrecisionHawk: How do you currently assess safety risk? Barton: Assessment is based on three things, probability, severity and exposure. We do what is called a critical inventory, so first we look at probability and ask ‘what´s the chance that something is going to happen?’. Then we rate it on a scale of 1 to 4 where 1 is not likely to happen at all and 4 is it´s very likely that something will happen. Then we look at severity. Would an incident cause a minor injury or a major injury? Would it cause death or permanent health issues? Last but not least, exposure. How many people would be exposed to the risk and how many times? 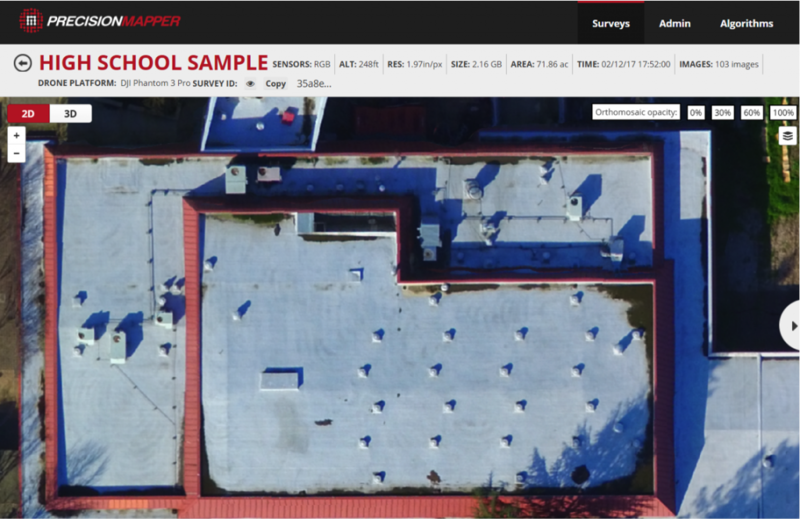 With roof inspections for example, the probability of something happening to someone going up there if they don´t use protective gear is high, severity is high, exposure may be low. Priority wise, as a safety guy, if I'm using a critical inventory I have to address that, I have to find a way to eliminate the hazard or to lower the numbers down. How do I do that? I can fly a drone and, essentially, numbers go to zero because there's no people involved. There's no people at risk. PrecisionHawk: Do you have data on what ranks as the most hazardous industries? Barton: Construction is the most hazardous industry. Falls at construction sites, falls from heights, from cellphone towers, while doing scaffolding inspections, falls from ladders, roofs and open sided edges are the number one reason people get hurt badly or even die. Statistically it represents 35% of construction fatalities. By using drones the exposure of falls can be eliminated. PrecisionHawk: What do you see as some of the most obvious potential benefits drones can have to improve efficiencies and overall worker safety? Barton: The community knows that drones can be a very helpful tool because there are companies that are already implementing them in their workflow and reinventing the way inspections are being made, but they are also a bit hesitant about the ease of use. But it’s clear that technology can be a great ally. Drones make the job easier and safer. Just think about big manufacturing facilities, you can send a drone up and map the whole infrastructure, take a closer look, assess the state of roofs, see if there are roof rats or pigeons droppings that can cause serious diseases, see if there's a chemical release, hail damage, etc. It takes the human risk out, it lowers the risk to an acceptable level. Drones can also be great for emergency action planning and fire drills, I can send a drone up, take a look at the facility, use the images collected as a map and I can picture my rally points where I´m going to have my people evacuating. Firefighters can get a bird's eye view of a whole building, you can also send the drone to a confined space and take a look to see if it´s actually safe to send a man over there. PrecisionHawk: What do you think about the widespread belief that technology, robots, in this case, drones are taking away jobs? Barton: I don't think technology is taking away jobs, it´s not taking away the job of an individual, in fact it's making companies operate more safely and more efficiently. 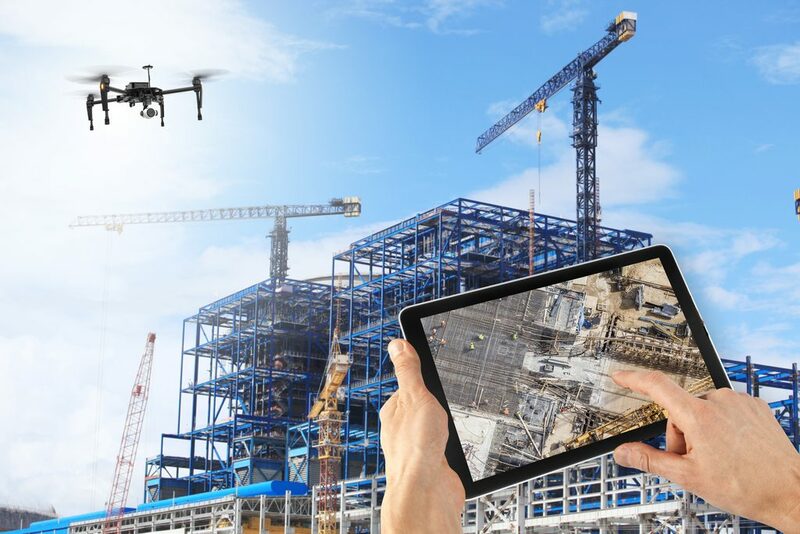 You can have one man go to two different construction sites with a drone to make an inspection, get precise data on the same day, instead of having that same man working all day long on one site, doing manual inspections, exposed to risks. The most important thing is eliminating risk and by eliminating risk, you save a lot of money and time. According to the National Safety Council, the average medical referred claim from a fall is $42,000, making up for that amount of money is very hard, cost is a big issue in safety. Companies should consider the return on investment (ROI) if they're still not sure about the benefits of drone technology. 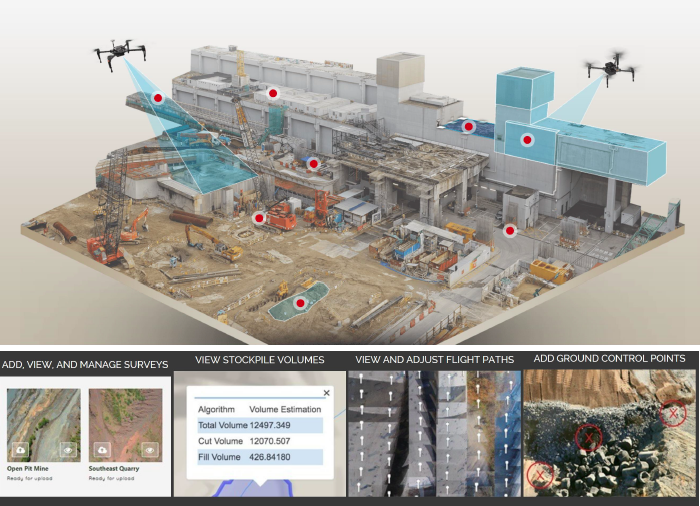 Want to know more about how drones can leverage your company operations? Contact us today to connect with our team comprised of industry specialists, flight servicing pilots, geospatial data scientists and software engineers to learn how you can integrate aerial data into your existing business processes. PrecisionHawk is a leading provider of advanced commercial drone technologies. The PrecisionHawk platform is end-to-end including automated flight planning, tracking, data collection, and analytics. PrecisionHawk technology is being used across multiple industries including construction, energy, insurance and by the government to mitigate safety inspection risks by keeping resources safely on the ground when assessing tall structures, bridges and dangerous terrains. Aerial imagery can be used to record how heavy equipment, temporary structures and assets are stored and maintained on-site for insurance regulation requirements. Daily flights can also audit site conditions to identify any potential hazards. Improve traceability, reduce project delays, minimize rental losses due to misplaced parts and equipment, improve logistic planning and helps to locate assets on a site map using real-time data.